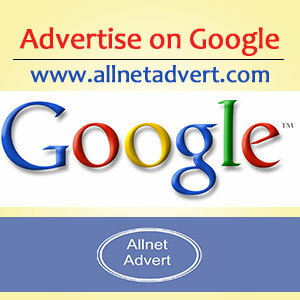 Facebook Twitter Instagram || LinkedIn || Contact: 08066917793, 08181970549, 08070950549, 07027997370, info@allnetadvert.com. "NEWSPAPERS IN NIGERIA,Business Day,Daily Champion,Guardian,Independent,Nation,P.M. News,Punch,Sun,Tell Magazine,Thisday,Tribune,Vanguard"
107.7 - Armed Forces Radio, Mogadishu Cantonment, Asokoro,Abuja. 98.7 - Bridge Radio, Asaba. 105.5 - RayPower FM, Ikhuen Niro, Benin city. 92.7 K-U FM, Benin-Auchi road, Enyea bypass Benin city-Edo state. 93.7 - SilverBird Rhythm FM, Ugbowo, Benin city. 99.5 - Hot FM, Owerri. 100.5 - Heartland FM, Owerri. 94.4 - Orient FM, Owerri. 105.7 - Zanders FM, Owerri. 549 MW - Manoma Radio AM, Kano. 729 MW - Radio Kano I AM. 88.5 - Dala FM, Kano. 89.3 - Radio Kano II FM. 90.3 - Express Radio FM, Lamido Crescent, Kano. 93.1 - Arewa Radio FM, Farm Centre, Kano. 95.1 - Wazobia FM, Farm Centre, Kano. 96.9 - Cool FM, Farm Centre, Kano. 97.3 - Rahama FM, Kano. 99.5 - Freedom Radio FM, Kano. 101.1 - ARTV FM, Maiduguri Road, Kano. 103.5 - FRCN Pyramid FM, Madobi, Kano. 107.1 - Sweet FM, Ibadan-Abeokuta Expressway, Abeokuta. 101.9 - Sun City Radio, Ondo City. 96.3 - Odidere FM, Reality Radio-Vision Service (RRS), Sky Limit area, Iwo. 104.5 - Living Spring FM, Ile-Awiye, Oke Baale, Osogbo. 106.3 - Lead Radio, Ibadan. Announce your church crusade nationwide. Make a blast of your musical album to 20 million people at once. Advertise your post UTME form and examination schedule to millions of Nigerians. 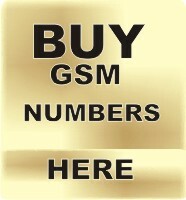 Buy millions of GSM numbers for you advert. Welcome to allnetadvert.com, see Apr2019 Advert rates to advertise on Raypower FM Stations via Allnet advertising agency, we cover all radio Network accross Nigeria, Most specifically, we are agency to radio station we are directly linked with as a result of reaching terms and conditions of services, prices are displayed according to rate cards submitted directly from each radio station to enable you advrtise on any radio according to your choice. we are simply advertisers, we advertise your goods/ products, we make an open air publicity, campaign via the following media; Radio and Television, Newspaper, Facebook, Yahoo, Google, Bulk SMS, GSM Network, Youtube, E-mail Marketing, web blogs. It is done based on you choice of advertising media. PRODUCTION COST- (EXCLUDING MATERIALS) ABUJA, P/H, KANO. N ABUJA, P/H AND KANO. STUDIO BOOKING/PRODUCTION FACILITIES COST - ABUJA, PORT HARCOURT AND KANO. 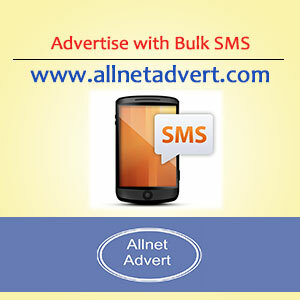 You can use the medium of bulk sms advert to advertise your product on thousands of GSM numbers located in any city of your choice, we have all locations numbers available for this concept. When you place an order on this service, you make payment for the number sms you want to send, text the location and one page message to 08066917793 and it will be sent for you. You don't need to supply us numbers but if you have special numbers you may add them to the ones we are to send. report of sms delivery will be sent to you via email. See Details.